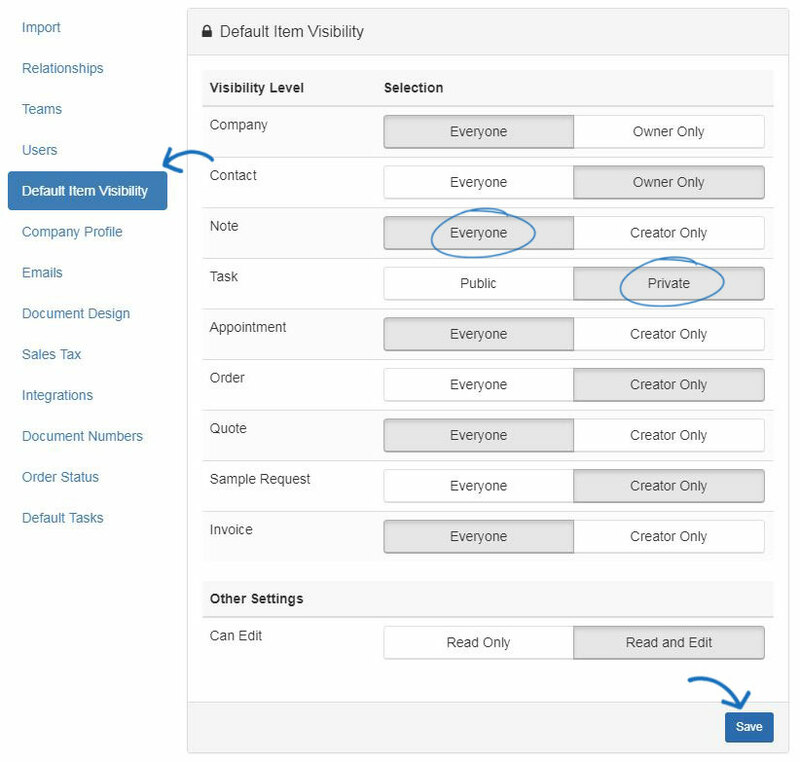 Default Item Visibility enables the administrator to set the level of visibility for numerous features within ESP CRM and Orders. For each level, the administrator is able to set the visibility to everyone, meaning all users within the company or creator only, meaning that the record will be visible only to the user who entered it. Click on Everyone or Creator Only to set your preferences. Visibility defaults for Tasks can be set to Public or Private. Public means that newly created tasks will automatically be visible to all CRM users within the company, whereas Private will only be visible to the user whom has been assigned the task. The "Can Edit" section is where administrators can set read only or read and edit capabilities to all users within their company. When you have finished selecting the visibility, click on the Save Settings button.